Most Reverend V. James Weisgerber, Ph.L, S.T.L. Most Reverend V. James Weisgerber, Ph.L, S.T.L., born May 1, 1938. Ordained to the Priesthood June 1, 1963. Ordained 1996 as Bishop of Saskatoon. Appointed to the Pastoral Care of the Archdiocese of Winnipeg on June 7, 2000. Installed August 24, 2000. On October 28, 2013, Pope Francis accepted his resignation by reason of age. Most Reverend Leonard James Wall, S.T.D., D.D. Most Reverend Leonard James Wall, S.T.D., D.D., born September 27, 1924. Ordained to the Priesthood June 11, 1949. Consecrated as Titular Bishop of Leptimino and Auxiliary Bishop of the Archdiocese of Toronto June 21, 1979. Appointed to the Pastoral Care of the Archdiocese of Winnipeg on February 25, 1992. Installed April 8, 1992. On June 7, 2000, Pope John Paul II accepted his resignation by reason of age. He died on March 5, 2002. Mass of Christian Burial was celebrated on March 11 at St. Mary’s Cathedral, with interment in St. Mary’s Cemetery. Most Reverend Adam J. Exner, O.M.I., D.D. 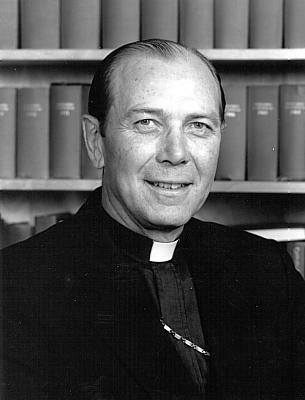 Most Reverend Adam J. Exner, O.M.I., D.D., born December 24, 1928. Ordained to the Priesthood July 7, 1957. 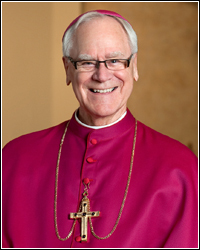 Consecrated March 12, 1974 as Bishop of Kamloops, named Archbishop of Winnipeg, April 8, 1982, installed June 24, 1982. Appointed to the Archdiocese of Vancouver May 25, 1991. Retired in 2004. 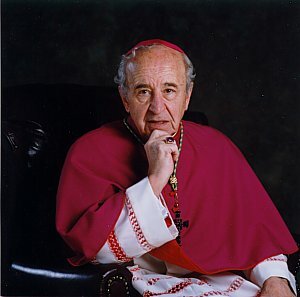 His Eminence, George B. Cardinal Flahiff, C.S.B., D.D. 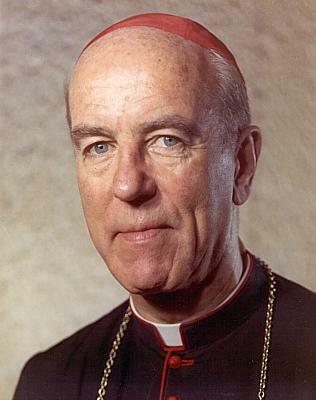 His Eminence, George B. Cardinal Flahiff, C.S.B., D.D., (elevated to the College of Cardinals in the Consistory on April 28, 1969) born Oct. 25, 1905. Ordained to the Priesthood on August 17, 1930. Appointed Archbishop of Winnipeg, March 15, 1961, consecrated May 31, 1961, installed in Winnipeg on June 25, 1961, retired on March 31, 1982 and died August 22, 1989. Mass of Christian Burial was celebrated on August 31 at St. Mary’s Cathedral, with interment in St. Mary’s Cemetery. Most Reverend Philip F. Pocock, D.D. Most Reverend Philip F. Pocock, D.D., born July 2, 1906. Ordained to the priesthood June 14, 1930. Consecrated June 29, 1944, appointed Bishop of Saskatoon April 7, 1944. On April 6, 1951, Titular Archbishop of Aprus, Coadjutor-Archbishop of Winnipeg - Apostolic Administrator. 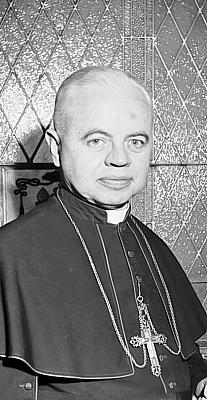 Named second Archbishop of Winnipeg January 14, 1952. Appointed Titular Archbishop of Isauropolis, Coadjutor-Archbishop of Toronto - Ordinary, February 18, 1961, Archbishop of Toronto March 30, 1971. Died September 6, 1984. He is buried in Thornhill, Ontario. Most Reverend Gerald Murray, C.Ss.R., D.D. Most Reverend Gerald Murray, C.Ss.R., D.D., born December 26, 1885. Ordained to the Priesthood September 4, 1910. 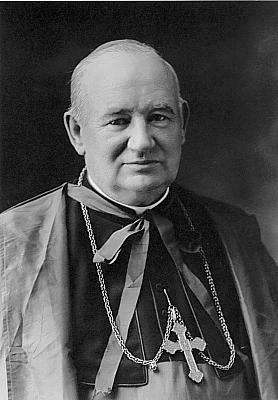 Consecrated as Bishop of Victoria May 7, 1930. In 1933 he was named Bishop of Saskatoon. 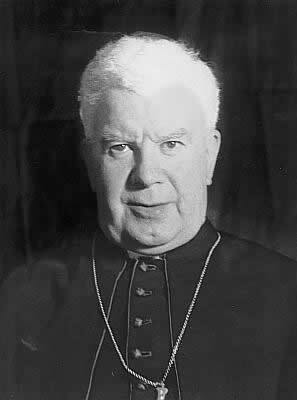 Appointed Coadjutor-Archbishop of Winnipeg, January 27, 1944, died June 3, 1951 and was buried in Montreal. Most Reverend Alfred A. Sinnott, D.D.